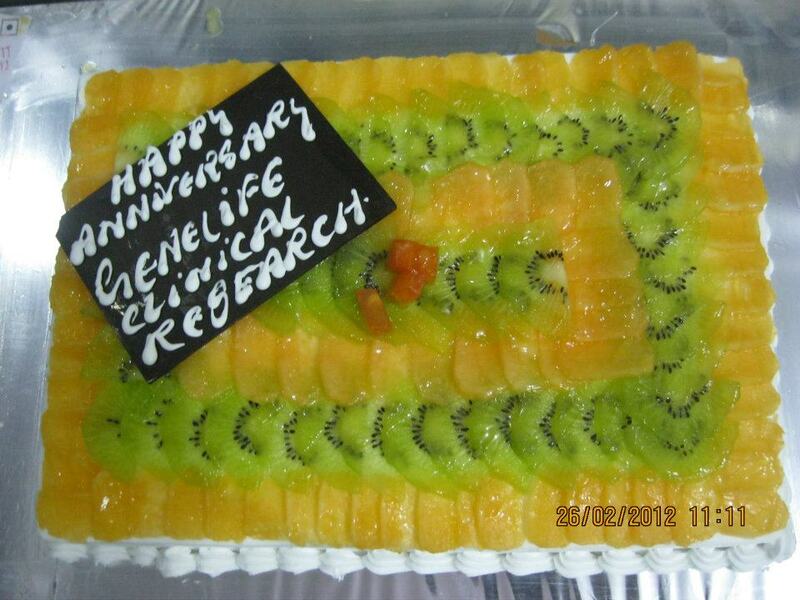 Genelife Clinical Research has successfully completed second year with all the enthusiasm of work, challenges and fun that was put together and served in the field of clinical research. 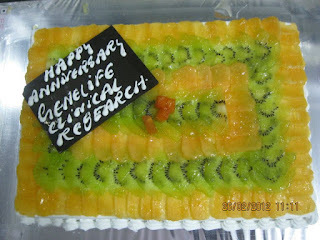 At this propitious occasion I would like to share the progress and furtherance of Genelife Clinical Research. As on 26th February bookmarked in our diaries permanently I would like to thank every helping hand that has made Genelife Clinical Research to be what she is now. The year started with the farewell of one of the partner of Genelife and we are planning to end this financial year as Private limited company. After initial hiccup the year started with an Oncology Clinical Trials followed by a Asthma Clinical trials. Ad hoc, we have two new oncology studies, two medical device studies that are ameliorating and an all-encompassing presence globally. Also there are five studies which are waiting to be board. Genelife has also augmented its reach within therapeutic areas and developed a good rapport with the investigators and clients that we have come across in any projects at hand. Though even there are some minor mistakes that may have happened, but it is said that "a mistake is simply another way of doing things" so we improve and move on to correcting them and bettering the quality of work. Genelife Clinical Research has continued to identify and screen fresh sites and potential investigators in any kind of upcoming studies as we believe in keeping an open mind and a compassionate heart. In order to upgrade the system to be “the most respected CRO” Genelife Clinical Research has introduced Data Management System with a well-qualified staff. We have also changed the location of Genelife from Thane to Mumbai (Goregaon). The working space of the new office is more which is essential for us to serve the needs of Clinical Research with the number of growing projects. On international front also Genelife Clinical Research has shown her presence. We are waiting to take 3 TGA (Australian Regulatory Body) projects on board and planning to start a Russian medical devise project. Also in concert with the GCC government authorities our company has been exposed to the new elements of research industry. Apart from this Genelife Clinical Research has also identified the location at places like the United States and Germany in order to expand our operations in North America and Europe. This all is possible because of our client, support and well-wisher and we would like to thank & show heartiest gratitude towards our clients and well-wishers for all the support and stand provided till date and surely time ahead. "And no we don’t know where it will lead; we just know there's something much bigger than any of us"
Many congratulations. Well written. I would have found it interesting to know the names of your current clients and the therapeutic area they entrusted Genelife with. Besides one may want to know the current level of various other services. You did mention DM is introduced recently by additional DM expertise. However one would also want to know if there are systematic capabilities existing to deal with data. It is not for me to point out but as a well wisher would like to point out that there is scope for grammatical improvement in this report to make really high quality. I hope that my comments don't offend you. Please pardon me if there is something you don't like. Thank you very much for the appreciation and also for the inputs. I am not offended by any of the above words, it gives me motivation. Your inputs are well noted and I will see to it that these inputs are incorporated whenever I write any such report, as I believe that there is always a scope to learn.